In the movie 'The Great Gatsby', Jay Gatsy (played by Leonardo DiCaprio) embodies the perfect distilment of behaviours and attributes that make him extremely likeable and successful. There’s no denying it, likeable people get further in life, have more opportunities and seem to find more luck wherever they go. So why aren’t there far more likeable people in this world? The modest answer is that it’s very simple to be likeable but it’s not ‘easy’. Believe it or not, likeability is a skill and like all skills it can be learned. 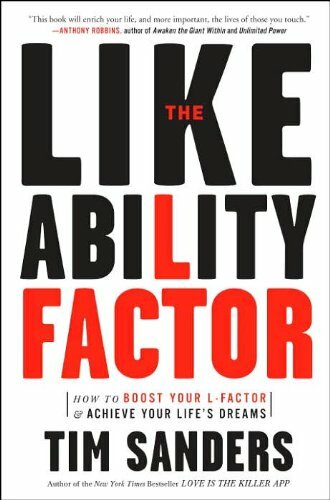 Let’s explore some of the attributes and behaviors that can you adopt to make you more likeable than you’ve ever imagined. 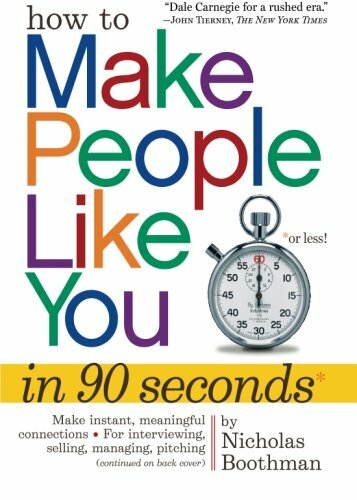 Although there are literally thousands of ways to be likeable to different people, these are by far some of the most powerful universal attributes and behaviors of likeable people. As a side note likeable people are often also described as being charismatic the only difference would be that likeability is the ability to have others like you whilst charisma is the underlying energy or ‘aura’ that allures people even when you aren’t trying. What does it to mean to add value? It is often quite arbitrary since everyone has different preferences as to what exactly improves their quality of life. One thing for sure is that adding value is universally positive to the lives of others where almost everyone will appreciate the value you bring to the table. Whether it is being a great conversationalist, having musical talent or being able to make someone laugh, adding value is the fuel that keeps the stars burning bright. The reality of the situation can be quite stark though. People only want the fruits of your labor. Think about it, would you go to a doctor that hasn’t studied medicine for years on end or without any credentials? Or would you go to a party full of people you don’t get along with or just bore you to death? Simply put, people are always looking for value and if you aren’t adding value you are most likely taking it away (or at times neutral). Why else would society ‘prescribe’ us to have jobs to that make us all useful in some way or another. Fun and Enjoyment: Making others have fun through telling jokes, stories, or playing games etc. is like giving people free drugs. When you show people a good time they naturally release feel-good neurotransmitters such as dopamine, endorphins and serotonin that give them a natural high that they have you to thank. Intrigue – Being ‘Interested’ not ‘Interesting’: You’ve probably experienced a time where you tried to be ‘interesting’ which pushed people away with contempt rather than pulled them with intrigue. The golden rule is when you are ‘interested’ in something you become ‘interesting’. Simply being ‘interested’ in a variety of topics of hobbies can make you a far more interesting person than someone who has no real interests or even someone who tries to impress people by appearing interesting. Develop Useful Skills: Whether this is your actual profession or not, if you can offer a certain skill or skills to others you will be perceived as valuable to others and more likeable. Generosity: If you are able to give without expecting anything return it will skyrocket your likeability, credibility and social status. Too often people are only interested in helping others with ‘strings attached’ or ulterior motives. Destroy this notion by generously helping others wherever you can. It can be anything you in your capacity such as having certain resources that could benefit others or helping others to network so that they may gain rather than purely self-gain. There are many ways to add value to people’s lives, if you have the potential to improve the quality of life for others then you can add value. Smiling as most of us know universally signals to others that you are non-threatening and welcoming. Once people perceive you as non-threatening and welcoming they are more able to drop their guards and let you in their world. The key to giving smiles is for it to be a genuine smile as opposed a fake smile, although the science also points to a positive association with an activation of the zygomatic muscles (jaw muscles) and the receptors in the frontal lobe – even a ‘faked’ smile can make us feel happier and hence more welcoming than having no smile at all. A genuine smile (a “Duchenne” smile) involves using the mouth and the muscles around the eyes. If you are able to learn to engage the muscles of the eyes, you can signal a stronger feeling of genuine warmth than merely a forced smile with the mouth. Practice smiling with your eyes in the mirror and you shall open far more doors than what your mouth can open. Body language communicates about 70% of the total message sent to other people. Just picture this, if you were at a party and someone was sitting in the corner, with their arms crossed and staring down at the ground. You ask them if they are enjoying the party and they say yeah “It’s great”. Would you believe them? Most likely not as we tend to put far more weighting (subconsciously) on body language than on the words itself (about 7% weighting of the total message). The other part of this equation is being open in mind as well. Since there is a direct correlation between what we are thinking/feeling and our body language, an open body is an open mind. For simplicity we will primarily focus on opening up our body language. Open body language is essentially having the most vulnerable parts of the body exposed (i.e. Heart, stomach, neck etc.) When you employ open body language it signals confidence and more importantly safety – that there is no immediate threat. If you were to look at it from an evolutionary perspective, we are predisposed to ‘protect’ ourselves from outsiders and ‘open’ ourselves when we are in the secure confines of our tribe. Opening ourselves essentially sub-communicates that we are all part of the same tribe so there is no need to feel threatened or have any guards up. Opening your body language in the broadest sense would involve removing any ‘barriers’ to vulnerable regions of your body – primarily the arms and legs and head. For example, any time you cross your arms across your chest you are protecting your vital organs. This subconscious protection mechanism also includes holding any object in your hand in front of your chest i.e. drink, hand bag etc. so always be wary of what you are doing with your body. If you want to be more likeable simply open up your body language, that way people will drop their guards and feel as if they are part of your ‘tribe’ whilst warming up to you. 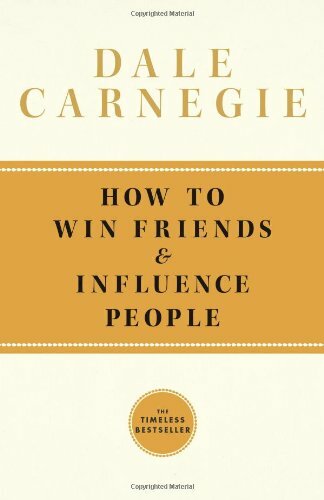 Dale Carnegie who wrote the book on ‘How to win friends and influence people’ advocated genuine interest for others as the way to people’s hearts and minds. This underlying tenet formed the basis for making almost anyone like you and in influencing others. When you are genuinely interested in someone you make the other person feel important as if they are your best friend or a close family member. So how would you create show genuine interest for someone? Ask more engaging questions and just listen! When you ask questions that engage people it makes them feel special and validated on many levels. It shows that you are interested and engaged with them, they are important and it also evokes a spectrum of positive emotions that become directly linked to you – much like when you attach the feelings of love and appreciation when you are in the presence of a loved one. Asking engaging questions and listening is an art in itself. It all starts with active listening and then asking questions that can empower a person. For instance, asking someone what is it about their job they love is far more engaging than asking what they do for a living. Try it and you will see a world of difference in the way they light up when they talk about their passions (provided that they love their jobs). Before you know it people all around you will just love talking to you. Tip: Always aim to ask open ended questions that lead to further ‘organic’ open ended questions that come naturally in the context of conversations. The real key is to listen more (refrain from interrupting) and wait for an opportunity to probe deeper into a person’s passions or interests. You can’t fake genuine interest so only engage with someone if you are truly intrigued, or you could always find something that you could be interested in from that person. Optimistic people are like walking bonfires, they make us feel warm inside if we keep close to them and they can thaw away the negativity within us. Being optimistic doesn’t necessarily mean being overly positive, bubbly and full of energy all the time – in fact, sometimes it can be off-putting to others if we are overly positive. It’s all about choosing the behaviors and attitudes that serve people and removing those that don’t serve ourselves and others. What this usually entails is adjusting the way you frame your experience of reality. For instance, if you get fired from a job, a pessimist might drown their sorrows with alcohol whilst an optimist will use it as an opportunity to find their true calling. A single experience can be perceived a million different ways depending on how you frame your experience. On the other hand, gossiping, complaining or talking trash about someone might engage with certain types of people, however in the long run it never really wins people over. People might share your views temporarily however what is stopping them from thinking that you don’t do the same when they aren’t around. These kinds of behaviors never achieve anything constructive instead it provides fuels for more problems to burn out of control. It’s o.k to vent out some negative energy out from your life however constant negativity achieves nothing but a lonely and bitter life. It’s always better to be positive. Even if you do repel the negative influences at least you will attract more similar positive people into your life. Virtues are qualities of universal excellence. They are qualities within us that show what the human spirit is capable of. As a useful metaphor, if you were a church or a temple (depending on your religious standing) your virtues would be the pillars that hold your institution together. The stronger your virtues the stronger your institution will be. These pillars of strengths give support to all other aspects of your life and people who are within your institution, i.e. those who seek advice or a role model. Everyone has virtues that they may or may not be aware of. Whether it’s having great humility or great integrity, you will find that these virtues if highlighted and strengthened will make you very likeable to others. Just think about someone you like or admire, what is it about them that you like? More often than not it’s an undeniable quality about them that they possess that draws you towards them because deep down inside you want to be just like them. Virtues can always be learned, or built and implemented into your personal institution. There is no limit so start cultivating more values that suit and benefit you. The more you have the more people you will attract naturally because they become an integral part of your personality. For the sake of convenience, the two terms are interchangeable since when you are confident you are relaxed, and when you are relaxed you appear confident. We have a natural proclivity to be attracted to confident people because they give a sense of security and certainty. In general, people don’t like stress in any given situation, they like things to be safe and smooth. Just imagine if you met someone at a party and they were all nervous and stressed out. What would be your natural response, something like get me out of here! On the contrary, meeting someone that is confident and relaxed will make you feel right at home, secure and well looked after. You have a sense of security with them, knowing that they will take care of everything in the event there is imminent threat to your safety and well-being. Of course it will be almost impossible to have that feeling of confidence and to be relaxed in every situation. The key is achieving confidence and relaxation in most circumstances is to detach yourself from the outcome or goal. Think of a time when you felt extremely confident and relaxed, it is usually either something you done thousands of times or that you didn’t care what was going to happen. When you are stress free, people will come flocking to you like moths to a flame, they can’t resist your alluring charm that comes from your confident disposition. There are many ways to boost your confidence levels however I found it inherently comes down to your mentality you adopt and that is letting go of the outcome and just flowing with the events that unfold in the moment. It’s very easy to be around likeable people as opposed to being with difficult people. Likeable people make life seem so easy when in fact they have spent many years cultivating a mind-set and behaviors that allow them to make the most of life – or they are just naturally gifted. Either way, being likeable is an asset that will yield innumerable benefits in all aspects of your life. If you learn even just some of these behaviors and traits of likeable people you will immediately notice you’re the walls of your life begin to expand, opportunities seem to arise frequently and unexpectedly, and most importantly the quality of your life will improve dramatically as people begin to like you more and more.